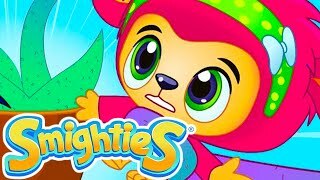 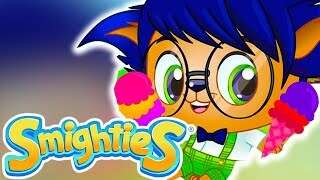 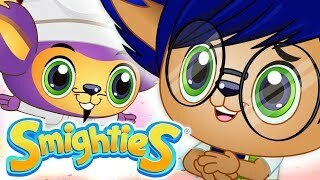 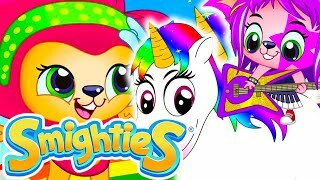 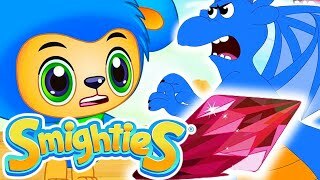 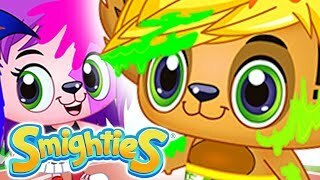 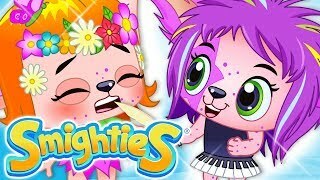 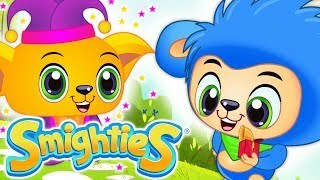 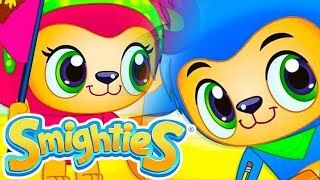 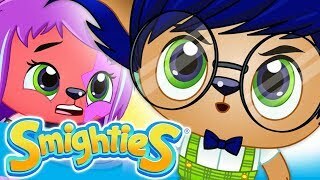 Catch our very own small and mighty Smighties in a fun and exciting cartoon compilation of adventure, fun, and laughter for kids. 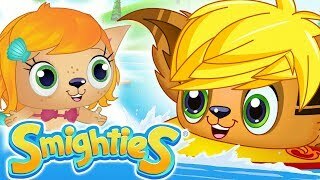 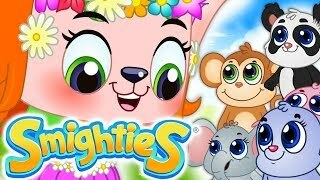 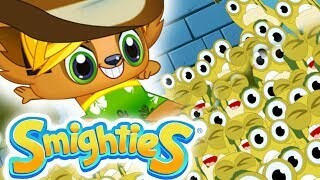 Biggs transforms himself into a cute baby animal to blend into Leila's Zoo. 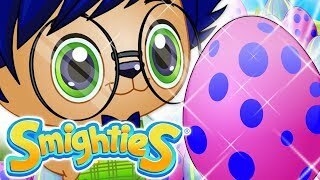 Now disguised, he can easily help Sneevil steal the Earth Stone. 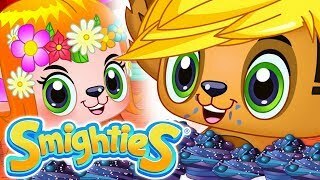 But all the sweet attention from Leila makes Biggs question his loyalty.